What could be better than great weather, food trucks, local beer, live music, tons of art and thousands of friends? Raleigh, N.C., is no stranger to major events and festivals. 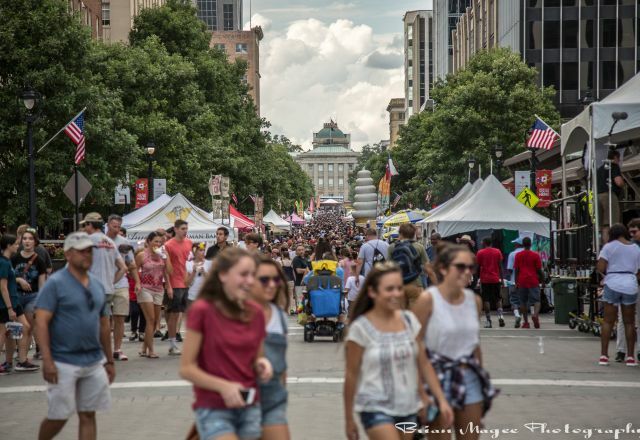 In fact, we have prestigious music festivals like Hopscotch Music Festival and PNC presents Wide Open Bluegrass, food truck events that span nearly a half-mile, the largest craft beer festival in N.C., arts events that transform area downtowns and parks plus tons of other great festivals that dot the calendar throughout the year.